Your Pensions and Annuities Income—How Much Is Taxable? Tax time can be particularly confusing when you have a pension or annuity income. 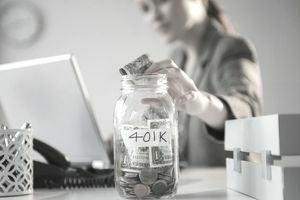 According to the Internal Revenue Service, "If you receive retirement benefits in the form of pension or annuity payments from a qualified employer retirement plan, the amounts you receive may be fully taxable, or partially taxable." That's ambiguous, to say the least. Which is it? How do you determine how much of your retirement income is taxable? Fortunately, the IRS offers various tools for calculations. Separate the 1099-R statements into two piles: those from your IRA, and those from your pension or annuity plans. Report your IRA distributions on line 15a of Form 1040. Report your pension and annuity distributions on line 16a. The IRS indicates that if you contributed after-tax dollars to your pension or annuity, your pension payments are partially taxable. You won't pay tax on the portion of the payments that represents a return of the after-tax amount you paid. This amount is your cost in the plan or investment, and it includes amounts that your employer might have contributed that were taxable to you as income at the time. In other words, any contributions you made with after-tax income and for which you never took a tax deduction are not taxable to now. You've already paid taxes on that money once. This includes contributions your employer made on your behalf but which were attributed to you as income, so you paid taxes on the amounts when they were contributed. That's the easy part. Now you have to determine the method by which the remaining amounts are taxed. Partly taxable pensions are taxed under either the General Rule or the Simplified Method. You must use the General Rule if your annuity or pension payments began on or before November 18, 1996. If your pension or annuity payments began after this date, you can use the Simplified Method to calculate your taxable portion. "Under the General Rule, you figure the taxable and tax-free parts of your annuity payments using life expectancy tables prescribed by the IRS," according to the IRS. Read IRS Publication 939, General Rule for Pensions and Annuities to figure your taxable pension and annuity under the General Rule. If you don't want to risk making a mistake, the IRS will calculate your taxable pension income under the General Rule for you for a nominal user fee. Instructions for asking the IRS to calculate your taxable pension under the General Rule can be found in Publication 939, Requesting a Ruling on Taxation of Annuity. The IRS says that "if you begin receiving annuity payments from a qualified retirement plan after November 18, 1996, generally you would use the Simplified Method to figure the tax-free part of the payments. A qualified retirement plan is a qualified employee plan, a qualified employee annuity, or a tax-sheltered annuity plan. Under the Simplified Method, you can figure the taxable and tax-free parts of your annuity payments by completing the Simplified Method Worksheet." The Simplified Method Worksheet can be found on page 26 of the Instructions for Form 1040 if you want to use it to figure your taxable pension and annuity payments. The taxable portion is then reported on Form 1040 Line 16b. Comprehensive and easy-to-read tax information about annuities and pensions is available in Chapter 7 of JK Lasser's Your Income Tax. This chapter includes all the information you need, including IRS worksheets, life expectancy tables, and discussions of various types of annuities and pension plans. Note: Tax laws change periodically and the above information may not reflect the most recent changes. Please consult with a tax professional for the most up-to-date advice. The information contained in this article is not intended as tax advice, and it is not a substitute for tax advice.